Brian Parkkonen is the Director of Education at The Professional Tennis Registry (PTR). He is responsible for the educational direction and content of the organization’s five pathways to certification, as well as all aspects of the Level 3 Specialist and Master of Tennis programs, and he oversees PTR clinician training. Brian is also responsible for the scheduling and coordination of all PTR Certification Workshops in the USA, and ensuring that workshops are held in all 50 states each year. 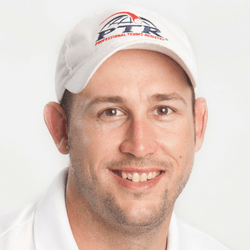 Brian is a PTR Master of Tennis - Performance and is a Clinician in all five PTR education and certification pathways. He is certified as both an Etcheberry Strength and Conditioning Coach and USTA High Performance Coach. In 2013, Brian was awarded PTR Member of the Year for South Carolina.